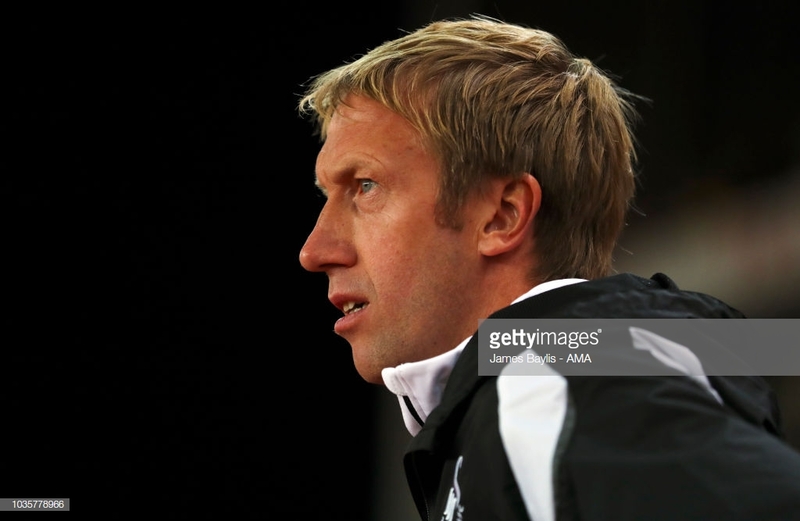 Graham Potter has laughed off speculation he could move to Glasgow Celtic. Pic: Getty Images. Matt Grimes admitted Swansea City were too naive as their away day blues ended their slim chances of snatching a play-offs spot. The Swans were unable to recover after a three goal blitz inside the first 17 minutes by managerless QPR. The 4-0 defeat was a seventh in a row on their travels for Graham Potter’s men who will have to rectify that sorry record if they are to mount a challenge next season. And it all came on the back of three successive wins at the Liberty Stadium which had left them hoping that final play-off spot could be theirs. Grimes admitted: “They started on the front foot, they pressed us well and I thought we were a little bit naive to be honest. “We were off the back of three fantastic performances and three home wins and I think we thought we could come here and it would go our way. “But obviously they are in a position where they are scrapping for every point and you could tell that. “Then when you are 3-0 down after barely 15 minutes you have a mountain to climb. “We are not happy with how we played, no-one can be. We have to try and pick ourselves up from that and try and get back on track against Rotherham. “They were so aggressive and we seemed caught off-guard and it’s really disappointing. They got after us, they did it well and thoroughly deserved the win. Tomer Hemed struck twice with Darnell Furlong also netting to put the London outfit three up inside 17 minutes with Massimo Luongo sealing victory in the second-half.